Defeat the bureaucracy in Labour party NEC, constituencies AND in the affiliated trade unions! General Secretary Iain McNicol has bureaucratised Labour like his did the GMB union; he and his cronies must go! Cath Speigh, GMB NEC Delegate, Iain McNicol Labour Gen Sec and Tim Roache, GMB Gen Sec. Bureaucrats to the backbone, hostile to both union and Labour party rank and file. The GMB General Secretary Tim Roache claims that the union backs Jeremy Corbyn. It would appear to be a bit of a contradiction that the GMB political officer and representative on the NEC Cath Speight moved the resolution to increase the registration fee from £3 to £25 to deter as many Jeremy Corbyn supporters as possible registering to vote in the leadership election. We are not fully aware of her role at this stage in ensuring there was only a very short window of opportunity (48 hours) to register to vote. Neither are we sure of the role she played in the vote to ensure that members of the Labour party who joined after 12th January 2016 were prevented from voting in the leadership election. 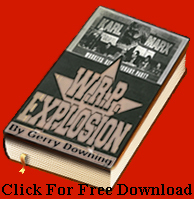 This act alone debarred 130,000 Labour party members from voting, although their money to join had been taken. As stated Cath Speight is the national political officer of the GMB union. A position once held by the current General Secretary of the Labour party, Mr Iain McNicol. Mr McNicol is ultimately responsible for the running of the full time apparatus of the Labour party and the activities of departments like the compliance unit. The unit that has overseen the suspension of socialists on trumped up charges anti-Semitism, which was and still is a disgusting episode designed to undermine Jeremy Corbyn. Many of these suspensions based on entirely false allegations. This was the forerunner of the more recent campaign of false allegations mainly around allegations of bullying. Of course any forms of racism and/or bullying should never be tolerated in whatever form they manifest themselves. Especially if it false allegations of racism and bullying for short term political advantage by getting your opponents suspended and unable to hold office internally or represent the party in the wider public arena. The suspension and closure of entire constituency Labour parties based on allegations of intimidation is only the latest phase of the allege and suspend saga, which is a tactic that was perfected in the GMB union. If we fail to understand where these tactics came from, how they are cynically used in pursuit of vested self-interest and who and what is behind it the damage that could still yet be done is incalculable we owe it to the anti-austerity, democratic socialist movement to examine these matters seriously. 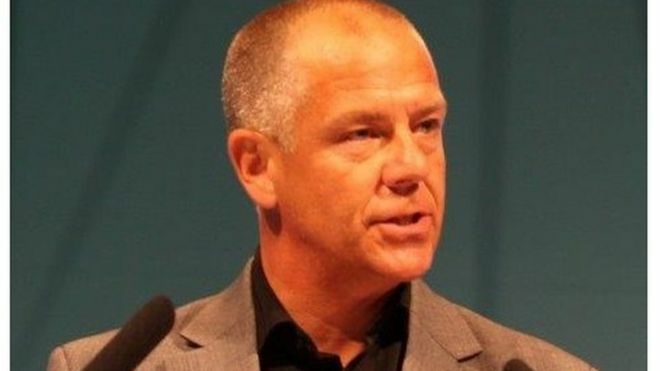 There is an ongoing legal case over the GMB general secretary election in 2015, where Tim Roache was elected with the backing of 2.4 % of the GMB’s membership on a 4.5 % turnout. It is being argued that very loosely worded bye laws governing the election were deliberately misinterpreted and applied to prevent a rank and file candidate from gaining enough nominations to stand in the election. However, this was a step forward in the democratic process in the GMB as in the 2010 and 2005 elections, Paul Kenny, later to become Sir Paul Kenny was elected unopposed, whatever that means. This might also be said to be a step forward for democracy in the GMB because in the 2003 General Secretary election Paul Kenny was soundly defeated by Kevin Curran. Two years later Paul went on to become the acting general secretary and then after a special rules revision conference to change the rule that prevented an acting general secretary from becoming the general secretary, Paul Kenny became the General Secretary after being elected unopposed. In what might appear to the casual observer as a coincidence Kevin Curran had allegations of election fraud made against him and was suspended for breach of the bye laws governing the election and for good measure had claims of bullying made against him Paul Kenny took over from Kevin Curran as acting general secretary and eventually after lengthy legal proceedings an exhausted Kevin Curran stood down. The man with the least votes eventually ended up as the general secretary and held the position for ten years never having to face another contested election. And he used various means to prevent political opponents from obtaining enough nominations to stand in elections. Allegations and subsequent suspensions, legal cases with the best legal back up that union members’ money can buy. All of this has a very familiar ring to it and it comes as no surprise to anyone who has been close to the machinations and bureaucratic manoeuvrings of the GMB that these tactics are being used against those of us who support Jeremy Corbyn and John McDonnell in the Labour party, on an almost daily basis. Iain McNicol brought the bureaucratic repressive culture of the GMB to further reinforce the already bureaucratic Labour party bureaucracy based on the NEC. There is now an almost complete disconnect between the well-heeled bureaucratic elite and those they are supposed to represent. Those on fantastic wages and perks cannot begin to imagine what it is like for those they are supposed to be representing. No foodbanks or zero hours’ contracts for them, no worrying about how you are going to put food on the table and keep a roof over your families head for members of the parliamentary Labour party or for unelected or barely elected trade union bureaucrats and their hired hands and place men and women in the industrial and political wings of our movement and the apparatus that holds them together. The Labour party is supposed to be a democratic socialist party representing the interests of working people, fighting for equality and therefore by definition an anti-austerity/ socialist party. We are not, or rather should not be an anti-democratic second eleven for the establishment, who hold the fort for the ruling elite while the Tories are to discredited to form a government. Her majesties loyal opposition, administering austerity lite while voting for foreign wars and the maintenance of Trident while vital public services are cut to the bone. The battle in the Labour party is between what we should be and those who are seeking to maintain the status quo in pursuit of their vested self-interest. In an organisation dominated by those it employs, bureaucratic degeneration and institutional corruption is an inevitability. In an organisation of some 600,000 real members and growing, the majority of who are engaged and fired with the belief that another world is possible, the corruption, sharp practices and duplicity of those seeking to maintain the old order should be defeated. The only thing that can defeat Jeremy Corbyn, John McDonnell and the anti-austerity socialist movement they represent is ourselves. If we allow these outrageous strokes that are being pulled to demoralise us and people play into their hands by abandoning the Labour party, defeat could still be snatched from the jaws of victory. We have outlined the methodology of the bureaucracy who have usurped power in the GMB trade union. We have outlined some of the underhand and corrupt practices they have employed to maintain the status quo and their well-heeled positions. We have named the place man who is the link between the right wing unelected and barely elected trade union bureaucrats and we all know only too well who the self-seekers are in the parliamentary Labour party. We have shown how those very same underhand and devious methods that were and are still being used in the GMB union are now being foisted upon the Labour party by the same individuals for the same reasons. We have outlined how determination, unity and commitment can defeat their disgusting tactics. However, it is not enough to win the election and put an even bigger mandate behind Jeremy it is vital that the three component parts of the Labour movement are thoroughly cleansed once and for all. Liam Byrne MP, a founder of the neo-liberal Labour ortganisation Progress. In November 2006 Byrne was responsible for a change to Immigration Rules preventing migrants who had entered under Britain’s Highly Skilled Migrant Programme (HSMP) having their permission to remain in Britain extended, unless they could show both that they had been earning at least £32,000 pa while in Britain and also that they had a good knowledge of English. This involves every single one of us being involved in our constituencies, taking up officer and councillor and prospective parliamentary candidate positions. It is of vital importance that those associated with the entryist misnamed Progress faction are removed and above all that the 172 traitors in the parliamentary Labour party, who attempted to stab Jeremy in the back are deselected. It is vital that legitimate complaints are submitted in relation to the activities of the General Secretary and any other hired hands in the compliance unit or any other department of the Labour party apparatus where their behaviour has brought our party into disrepute. This should be accompanied by demands for a thorough disciplinary investigation and if allegations are substantiated for disciplinary action to commence. Ensuring of course due process and the right of representation. We will not lower ourselves to their level. Above all though we must get involved in our unions at a workplace and a branch level, with a view to representing the interests of the union (i.e. the members) properly and holding the bureaucracy to account and if necessary changing it. In the most right wing union, the GMB, full time officials have been sacked for carrying out the wishes of the members and organising picket lines in the course of an industrial dispute. Activists have been stitched up and expelled for standing in elections without permission. Individuals have been discriminated against and fought back despite having very little support. As a result of one of the battles in an Employment Appeals tribunal it was confirmed that democratic socialism is a protected characteristic under the 2010 equality Act. A decision that the GMB’s lawyers, incredibly tried to overturn and that legal case is still on going. There are currently two court cases pending, one in relation to the discrimination and unfair dismissal claim of the officer, Keith Henderson, who was shouted at by the unelected General Secretary Sir Paul Kenny for being too left wing. This for putting a picket on parliament in the course of the 2011 public sector pensions dispute following a unanimous decision to do so made by the GMB members in parliament who were involved in the dispute. This case is being heard by the Court of Appeal at the Royal Courts of Justice on 11th October 2016. The other is an appeal to the Employment Appeal Tribunal against the decision of the Certification Officer to dismiss a claim by the same officer that the 2015 GMB General Secretary election should be deemed null and void because of the bureaucracy’s deliberate misapplication of the ambiguous rules to prevent rank and file candidates from obtaining the necessary branch nominations to stand as a candidate in the election. This case is being heard by the London Employment Appeal Tribunal (EAT) on 28th October 2016. Loosely written rules that are open to interpretation that one side is more likely to benefit from by virtue of the fact that they are backed up by the best legal advice and if necessary representation that the members’ money can buy. The key objective is to stop elections taking place. The trouble with elections for those seeking a well-heeled career in the labour movement is that sometimes us ordinary members vote the wrong way. As one Kevin Curran found out to his cost, securing enough nominations to stand in the election isn’t enough. Actually winning the election and getting more votes than the other candidate, isn’t enough. If you get over those two hurdles the next one is the false allegations leading to your suspension while an investigation takes place. Of course you are not allowed to hold a position in the institution or represent it publicly while the investigation is ongoing. Taking legal action is an option but certainly not unless you have some very rich backers. People with the most legitimate and serious cases can take over a quarter of a century battling through the establishments legal system before the truth is eventually exposed as the Hillsborough families know only too well. The Guardian reported another coup by McNicol: “The Labour has suspended its biggest constituency party (above) and annulled the result of a vote that installed officers supportive of Jeremy Corbyn in key posts. In response to complaints, the party sent a notice to Brighton, which has 6,000 members, saying it was subject to “administrative suspension” and would have to rerun the contest.” Having expelled enough members to get the desired result, hopefully, McNicol thinks. Collusion with the establishment to destroy political opposition and maintain their well-heeled position, destroying other human beings in the process is nothing new. Time and time again these elements within our movement have colluded with employers to suppress effective shop stewards and safety reps. There are a minority of genuine socialists and rank and file activists in our movement who cannot be bought and for them to be able to challenge, let alone win and occupy a senior position simply cannot be tolerated by the self-service brigade. It shows the self-serving, anti-democratic elite who took over the political wing of our movement for exactly what they are. The absolutely disgraceful tactics that have been used by this ilk to unseat Jeremy Corbyn as leader of the Labour party can no longer be tolerated. There is no place in a democratic socialist movement for false allegations, suspensions, the closing down of debate, poorly written rules that deny due process and are a lawyers dream. Rules that are open to misinterpretation and misapplication by those confident enough in the knowledge that they have access to the members’ money to buy the best QCs in the land that seems to get them out of jail (which is where many of them belong), seemingly every time. The mass movement in the Labour party is ensuring that the chicken coup is failing in the most dramatic fashion. The second election of Jeremy Corbyn is looking more and more likely. This in and of itself though will not be enough to stop this kind of fiasco happening again and again and again. We must defeat the self-seekers’ relentless drive to undermine and crush the anti-austerity/ socialist movement, drive them from office and replace them with those who serve the interests of the membership and the working class as a whole, not the neo-liberal servants of the City of London and the big bosses. All of us need to get more involved in our constituency parties, taking up positions in the party and representative positions at a council and parliamentary level. Those responsible for their part in this failed coup must be deselected at the first opportunity although this in and of itself is not enough. 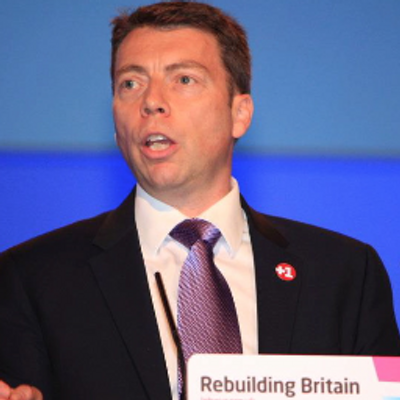 The general secretary of the Labour party and former political officer of the GMB union Iain McNicol must be suspended pending a disciplinary investigation. Should there be any charges to answer as a result of that investigation he should face disciplinary action. There is even an argument that is illegal and deliberate misinterpretation of the rules has taken place in the gerrymandering process tis information should be handed over to the police and charges pressed. The same goes for any other hired hand employed within the Labour party apparatus who is guilty of such abuse. The compliance unit should be shut down full stop! Any employee or member facing disciplinary charges should be given the right of representation and afforded every right that ensures due process and that everything is transparent and above board in the course of any disciplinary process. However, challenging those who have usurped power in the trade unions, and one in particular, goes to the whole root of the issue. Getting organised in our unions to hold the officers to account and if necessary to replace them is a vital component part in transforming our movement. Unelected and unaccountable, well heeled, self-seeking and self-justifying careerists and jobsworths have usurped power and key positions in the unions. Positions that are then used to try and smother the movement that represents the interests of the poor, the dispossessed and the vulnerable in the interests of the establishments second eleven, who are all in favour of socialism, as long as they have their bit first. We are in the process of defeating them all right now! « The Chicken Coup attempt has failed!